UPDATE — 8/23/11: The submission deadline has now been extended to Friday, 9/2. Voting will take place 9/5 – 9/11. Goodjoe is a “community-based t-shirt company wit h a passion for doing good.” Elevation Nation is an internet-based network with a mission to unite Americans “in the satisfaction that comes from a life-long commitment to worthy charities and social issues.” Now these two companies are partnering with Operation Gratitude for a fun, new contest to benefit our very patriotic cause. The contest — Design for a Greater Good — is open to creative people of all ages! The contest theme is “Patriotism”. A simple word…yet to those of us who love this country, its meaning is quite profound. 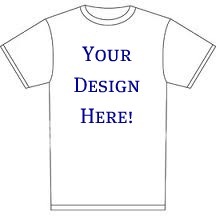 You have until September 2, 2011 to submit your t-shirt designs to the Goodjoe website. The top three designs will be selected by Operation Gratitude judges. Visitors to Goodjoe.com will have the opportunity to view and vote for their favorite from September 5 through September 11, 2011. The design that receives the most votes will win a $500 cash prize from Goodjoe, plus a 6% royalty from future sales of the t-shirt! To enter the contest, Goodjoe’s Standard Design Guidelines apply — visit their website for more information and please use their Contact Form for any specific questions about submitting your design. This entry was posted in Uncategorized and tagged Americans, apparel, charity, clothing, clothing design, community-based, Contest, design, designers, educate, Elevation Nation, empower, entertain, GoodJoe, military, Military support, non-profit organization, Operation GRatitude, patriotic, patriotism, philanthropies, prizes, social networking, t-shirts, technology, troops, USA, vote, win. Bookmark the permalink. 8 Responses to Design a Patriotic T-shirt — Win $500 from Goodjoe.com! They’ll be able to give you all the info you need! The theme is Patriotism, but feel free to incorporate Operation Gratitude in there too, if you’d like. Or our website — http://www.OperationGratitude.com — that’s another option! Seraphine, Operation Gratitude didn’t have input regarding the length of the design time for this contest — it was a decision made by Goodjoe. We hope to work with Goodjoe again in the future, so we’ll be sure to pass along your comment and concerns regarding needing more time to participate. Thank you!